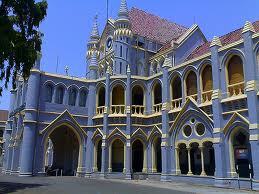 MP High Court Stenographer Jobs Recruitment 2012 . MP Madhya Pradesh High Court is released a recruitment Notification of MP High Court Stenographer Recruitment 2012, Notification released on 07-08-2012. Madhya Pradesh High Court released Notification for 347 vacancies stenographer jobs filled purpose through this Recruitment Notification. The Recruitment jobs like Care Taker, Stenographer Grade 3, epabx operator Jobs and same way invited Online Applications from interested and eligible Candidates. This Recruitment Notification Published at MP High Court official website of www.mphighcourt.nic.in. So Interested and Eligible Candidates are fallow the website of www.mphighcourt.nic.in and apply online before on 11-09-2012 . MP High Court Stenographer Recruitment 2012 Details are given below. Age ::: The Applied Candidates are age is 18 to 35 years as on 01-01-2013. Selection Process ::: MP High Court Conducted a preliminary written Test Exam conducted on 07-10-2012 and Mains Exam conducted on 04-11-2012 , 08-12-2012 , 09-12-2012. MP High Court Conducted Mains Written Test Exam on 04-11-2012, 08-12-2012 and 09-12-2012.